"Let the fresh air, let the fresh air in" is exactly what you will be singing when you get yourself a set of the Stampede custom window deflectors. These window visors tape onto the top of your window with high quality 3M automotive tape. With a set of these side wind deflectors installed you can enjoy opening your window a little, allowing fresh air in without the fear of rain, sleet or snow entering. These vent visors are custom made to fit each vehicle exactly with a nice, neat contoured look. Stampede offers their vent visors in a dark smoke finish to further optimize your own personal style. 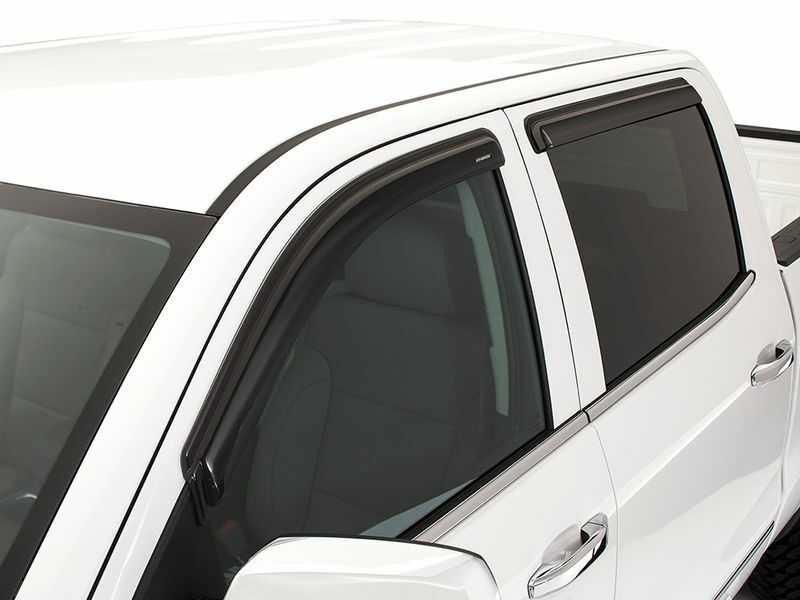 In addition, Stampede window deflectors reduce wind noise and allows stale air to exit while supplying you with a fresh supply. Constructed from impact resistant acrylic materials the visors are built to last and not fade, scratch or warp, so you can be happy and not worry. Breathe easier with your own set of Stampede vent visors! Stampede backs their vent visors with a limited lifetime warranty against defects in materials or workmanship. 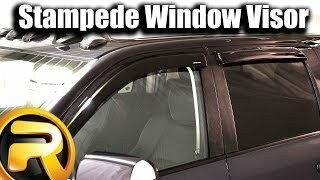 The Stampede tape on window deflectors offer an easy installation. Simply clean applicable area on your vehicle, peel 3M tape backing off of window deflector, and apply to area. For additional information please call us at 1-877-216-5446 or 701-253-5906.